Traditionally, cigar makers have our own special blend that we make for family and friends or special occasions. 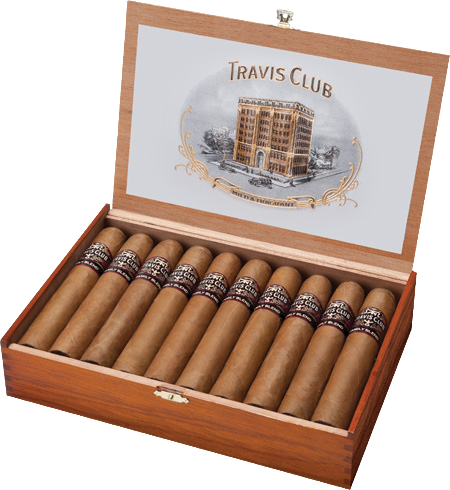 These cigars are made with reserve tobaccos, the best of each crop. For our family, the blend is a full-bodied, rich combination of Cuban-seed Nicaraguan long filler, Broadleaf binder and exquisite, silky-smooth Ecuadorian Shade wrapper. Handmade in our factory right here in San Antonio, this select blend delivers volumes of rich, hearty flavor that compliments everything from a strong espresso to an aged scotch. At the urging of our friends, we've decided to released this special blend in limited small batch quantities as the tobacco is available. We sincerely hope you'll enjoy these fine cigars as much as we do. These awesome new smokes are now available in our retail stores!